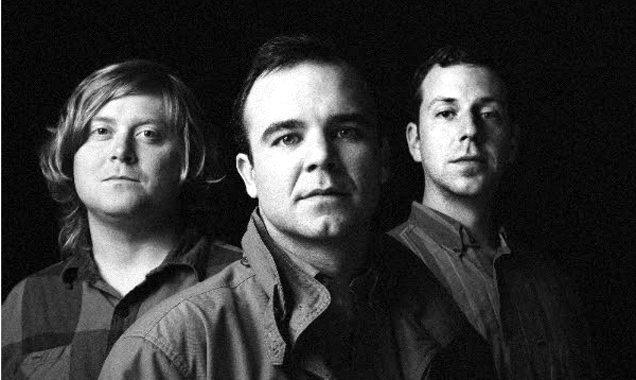 Future Islands is an American synthpop band consisting of the members Gerrit Welmers (keyboards and programming), William Cashion (bass, acoustic and electric guitars), and Samuel T. Herring (lyrics and vocals). Formation: They met each other whilst studying art at East Carolina University. They formed a band 'Art Lord & The Self-Portraits', which lasted from 2003-2005, with the members Samuel T. Herring, William Cashion, Gerrit Welmers, Adam Beeby, and Kymia Nawabi. 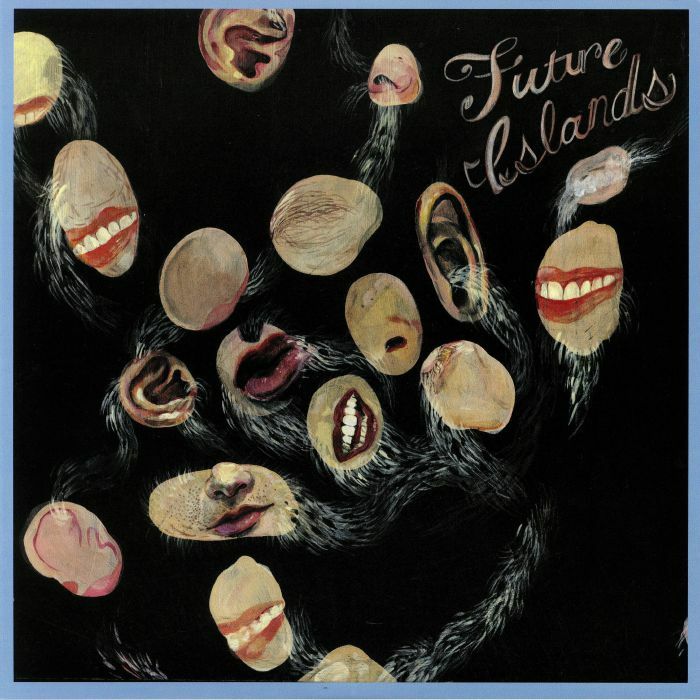 When this band fell through, 'Future Islands' was formed with Cashion, Herring, and Welmers, and Erick Murillo. Music Career: 'Little Advances' was released in April 2006, and was self-produced. The label 'Upset The Rhythm' released their debut album 'Wave Like Home' in 2008. They signed to Thrill Jockey in 2009. 'On The Water' was released in 2011. In 2014, they signed to 4AD. They released their album, 'Singles' in March 2014. Curated to be something different, Bluedot Festival is anything but routine. With the majority of new festivals following formula and convention, and being anything but orthodox, Bluedot has broken the mould and purposely curated a festival like no other in the UK - amalgamating science, art and music in all into one incredible event. Imagine astrophysics and electronica, cosmology and hip hop, theoretical physics and soul, quantum mechanics and the Chemical Brothers. All are subjects which you'd probably never see conjoined in a sentence, let alone at a festival. In the Delhi Mosque inspired Prince Of Wales (King George IV) commissioned magnificence of the former stable house, The Brighton Dome, a band based in the U.S eastern coastal town of Baltimore came to enthral the audience on the south coast of the U.K. Although the birth place of the band, Greenville NC, and tonight's venue maybe some 3,839M apart, in truth, it felt more like a home coming gig. Sam, William, Gerrit and Michael were in the form of their lives, putting on a near two hour show in front of a very appreciative, psyched and synced, sell-out crowd. 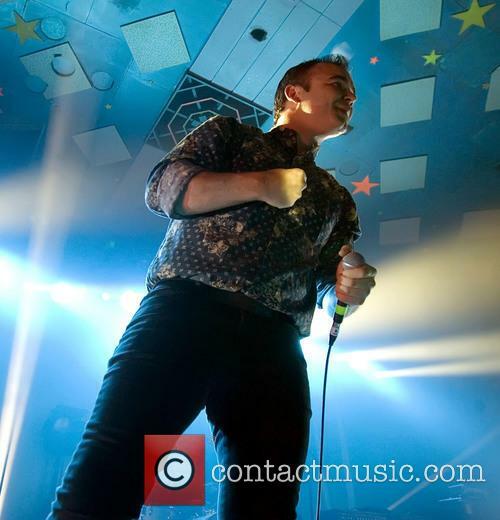 Future Islands have been coming to gig in Brighton since 2009 and clearly connect with the town and its audience. Sam too was obviously taken by tonight's venue, "It's very beautiful here", he said as the band launched into their epic set. 'Back In The Tall Grass', from the bands breakthrough 2014 album 'Singles', got the evening off to an impassioned start. 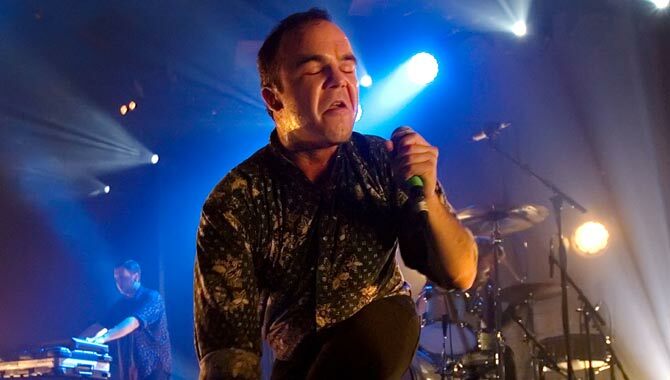 With Samuel Herring's first, signature, chest thump of the night raising an early cheer from the crowd Future Islands wasted no time at all as they tore into a visually arresting, electrifying rendition of 'Time On Her Side' from their sensational new album 'The Far Field'. "A lot of our songs are about the sea...I think we have a kindred spirit". Whether it is with a sense of irony, just a happy coincidence or a chronological anomaly, 'The Far Field', Future Islands latest, and best, album to date, is packed full of potential singles. (The band's fifth album, and second for 4AD, rather aptly follows on from their 2014 breakthrough release, 'Singles'). This is an album many a band would be happy to have as their greatest hits and one surely to feature atop the end of year lists. In the ensuing three years since the band's last release they have not only toured extensively but they have also seemingly honed their song craft to deliver up some really rather superb songs. 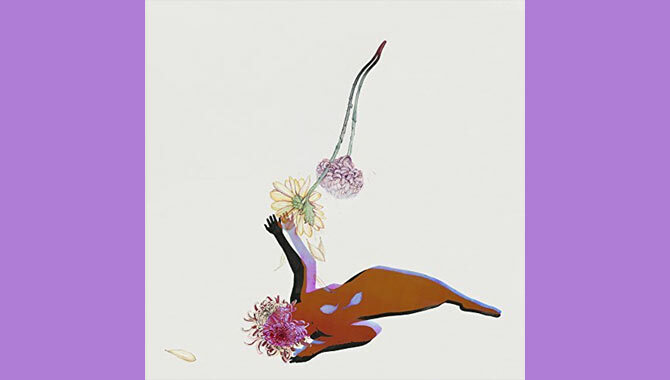 With 'The Far Field' Future Islands have found their musical elixir and skilfully evolved their USP and in doing so have conjured up twelve new songs of stunning quality. 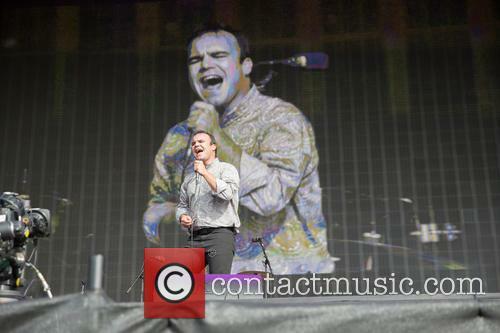 From the album opener, 'Aladdin', it is clear that Future Islands have taken a real fillip from the success of their previous release. The sound and production have a confidence and an attitude that exude passion and belief. There are some fabulous performance pieces amongst the twelve tracks. The hooks are glorious, the rhythms brilliantly built and the delivery is absolutely magnetic. They'll be returning to the continent for the first time since 2015. 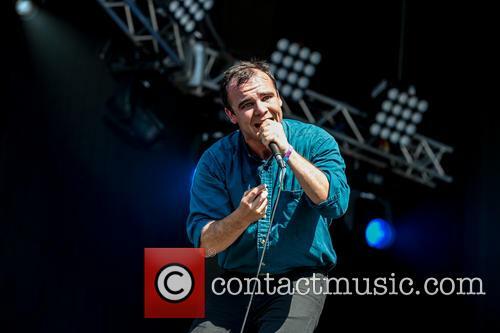 Future Islands are back on the other side of the pond with a series of UK and European shows over the Spring and Summer period. The headline dates will mark their first European performances in a year and a half, when they were promoting their fourth album 'Singles'. The Baltimore synthpop band will kick off their latest dates at Berlin's Astra on March 21st 2017, while their last currently announced date is the Paredes de Coura Festival in Taboão, Portugal. Among their UK dates are performances at Liverpool's O2 Academy, Leeds' Stylus and Nottingham's Rock City. The Baltimore-based group are selling items from their infamous 'Letterman' performance last year to raise money for the beleaguered city. Who could forget that legendary performance by Future Islands on ‘Letterman’ early last year, with the singer who was so ridiculously committed to his performance that it was actually moving? 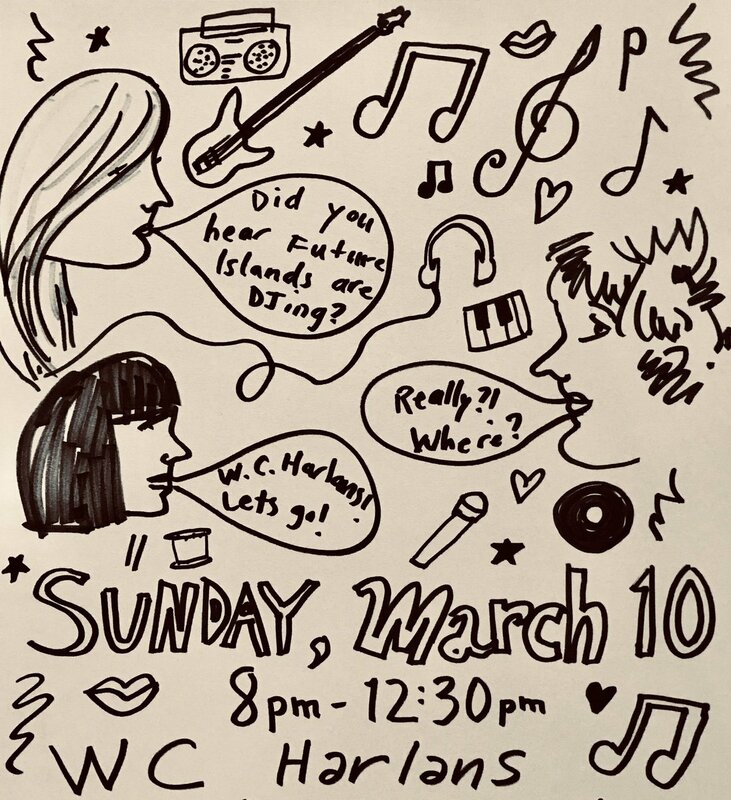 Well, the band is now auctioning a number of mementoes from that appearance in the name of raising money for Baltimore. 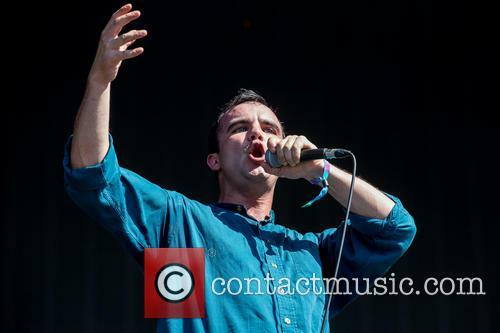 Future Islands, who hail from the embattled Maryland city that has been engulfed by rioting and violence this last fortnight, placed some items on eBay to raise funds for the Fund For Rebuilding Baltimore, according to Billboard. 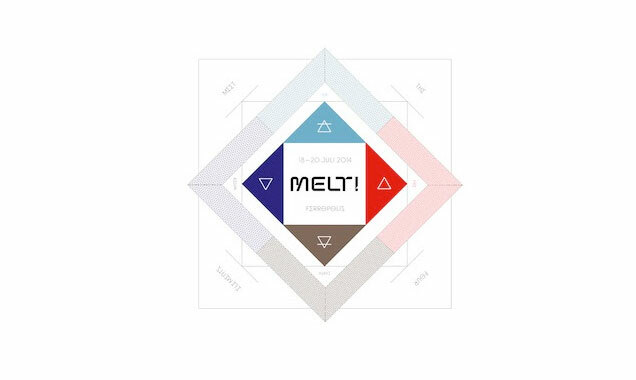 The festival brings some exemplary headliners to the Netherlands this Summer. The Netherlands' Best Kept Secret Festival won't be a secret for long if they keep introducing stellar acts such as this each year! The first line-up announcement includes Alt-J, The Libertines and Noel Gallagher's High Flying Birds. Joining the third line-up for Best Kept Secret this June is some of the finest indie, rock, punk and electronic artists the world has to over, with 35 more acts yet to be announced. Alongside newly reunited headliners The Libertines on Friday, June 19th 2015 are alt-rock veterans The Jesus And Mary Chain, playing the full tracklist of their 1985 debut album 'Psychocandy'. 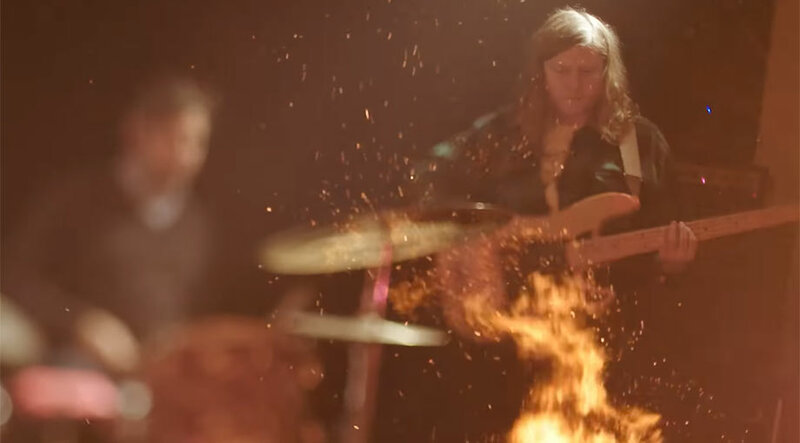 Aussie chart topper Chet Faker will also make an appearance, with Alabama's St. Paul & The Broken Bones who are currently on their 'Half The City' tour. Royksopp's final full-length is a worthy farewell to the traditional album format for the Norwegian duo. Backed by a range of guest vocalists, most notably The Irrepressibles' Jamie McDermott, it is the kind of perfectly-presented electro-pop you expect from them, with 'Sordid Affair' and 'You Know I Have To Go' standing up with the best of their impressive back-catalogue. Ian William Craig's “A Turn Of Breath” is William Basinksi's ambitious 'Disintegration Loops' project re-imagined for dusty, decaying pubs and desolate bedrooms. A single voice stretches and fragments as it repeats, sometimes accompanied by guitar or some other secondary noise but more often than not entirely alone. Its hard to say exactly what makes it so entrancing and unsettling, but it certainly is. 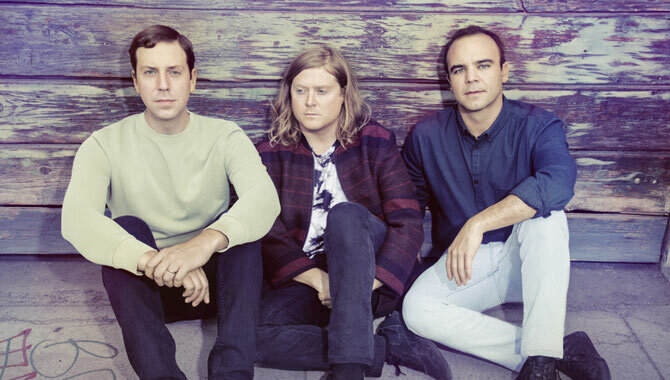 2014 was a breakout year for Baltimore quartet Future Islands, as vocalist Gerrit Wilmers silly danced his way into the public conscience with the band's performance on The Letterman Show. Behind it, “Singles” is a very strong collection of indie-rock nuggets that is worthy of its moniker. A day by day recommendation of this year's festival favourites. Coachella Festival is nearly here, bringing with it one hell of a weekend chock full of great food, exciting entertainment and, most importantly, amazing music. Arguably California's most eagerly anticipated event of the year, Coachella settles at the Empire Polo Club in Indio once again for the fifteenth year running between April 11th and 13th on the first weekend and April 18th and 20th on the second. It's not unheard of that a music festival was so good they had to hold it twice, but as of 2012 it has become a no-brainer for Coachella. In a nutshell, it is basically a big playground for grown-ups - though of course it is a family friendly event - featuring activities such as the 3 Legged Race, the Beauty Bar, the art studios, dodgeball and the almighty Pie Eating Contest, all while you're munching on a variety of cuisine from around the state and rocking out to some of the best bands you will ever hear. @_heyitsmister_ One of our faves too! RT @yomilo: working on getting better. it will take forever. peace. @euIVmusic @micro_chop @questlove “...that of a boulder, to find out that her life was over...” such a crushing song.